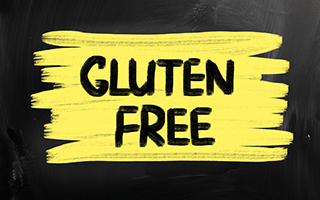 If you have celiac disease, you know you need to stay on a strict gluten-free diet. But that may not be enough for you to maintain optimal health. You could still have serious digestive problems. These may include increased gut permeability and reduced gallbladder and pancreas function. Many of these are the result of years of increased inflammation. But there's something else you need to be concerned about. According to an article in the Journal of Medicinal Food the main danger of celiac disease is malnutrition. Because this disease causes the small intestine to become chronically inflamed, it's unable to properly absorb nutrients. Eliminating gluten from the diet can go a long way toward reducing this inflammation and the associated diarrhea, weight loss, and nutritional deficiencies. But sometimes that's not enough to get your health back on track. Once you correct the malnutrition issue, the damage to the gallbladder and pancreas can actually result in the opposite problem: obesity. Lactose intolerance, impaired glucose and lipid metabolism, insulin secretion, and nonalcoholic fatty liver disease can become issues as well. To combat these negative effects, it's important to use proper nutrition and supplements. The best way to stimulate the gall bladder to promote the absorption process is to take plant oils supplements and eat lots of fruits and veggies. The plant oils, such as evening primrose oil, safflower oil, sunflower oil, flax oil, pumpkin oil, olive oil, and coconut oil all can help provide better nutrition for celiacs by increasing nutrient absorption. Too often, celiacs replace gluten with unhealthy sugars and fats. Instead, fill your diet with more fruits and veggies. Add olive oil to your diet whenever possible. And take a supplement like Advanced EFA Formula, which contains the other oils listed above. Doing so can help you avoid malnutrition, control inflammation, and achieve a vibrant health. Even if you don't have celiac disease, these types of diet can go a long way to maintaining your health. If you're suffering from any digestive issues, it could be because over time, our organs age — including our stomachs. But you can slow the aging process down. Look for information on how to slow down the stomach's aging process in an upcoming alert.